Do I see a dark, twisted re-imagining of Peggle on the horizon? 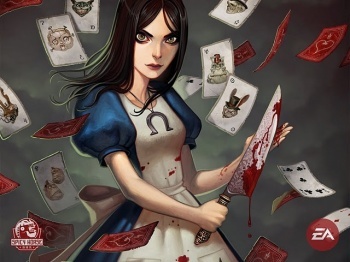 Having recently finished work on Alice: Madness Returns and landed a $3 million investment deal, American McGee (famed designer of Alice) and his development company Spicy Horse are looking to the future. With the announcement of a long-term deal with PopCap Games, that future could be filled with falling jewels, dancing sunflowers, and the Ode to Joy. Once Madness Returns is released, Spicy Horse will turn to making 3D online games, starting by remaking one of PopCap's big franchises such as Peggle, Bejeweled, or Plants vs. Zombies. According to Mcgee, "It's free-to-play, it will launch initially in Asia, it's multiplayer, and it's microtransaction-driven." Explaining the choice to remake the game in 3D, McGee said, "The sense is that while a lot of social games have built their empires on 2D, there will be a moment where the genre has to shift into 3D, and we want to start that process now." He also mentions that this transition to casual and social games is a long time coming. "The reason I originally came to China is that I wanted to get into that new model - I wanted to get away from console game production and retail, disc-based sales," he said, while calling his recent work on Alice: Madness Returns a "beautiful distraction." With a recent influx of cash from a $3 million investment and a potential money-maker in the form of the to-be-released Madness Returns, Spicy Horse is looking to start focusing on what McGee says is "a two-year plan to bring multiple titles to market," and will aim to release a new title every six months.